Our professional rikishaw drivers will produce such a memorable time of your trip with a kindly heart and the most professional guide in Asakusa. 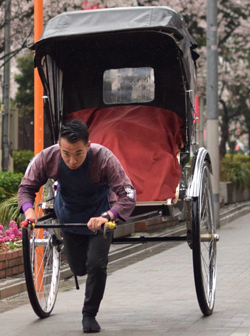 JINRIKISHA is not only a “vehicles” as a transportation tool. what is important is 「人」means, the person who drives it. We love Asakusa deeply and we would like to share the heart to you. You can choose your course and stop point. please come to us directly on the day. 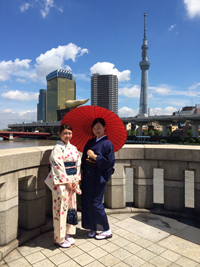 Sumida river → nice view spot for Skytree, historical spots from Edo era →visiting temples. Interesting Shitamachi area, crafts and good restaurants. Japanese comedian town and amusement park etc.. Very much energetic and fun area in Asakusa. Pick up good spots from both East West. All spots of both East and West. All spots of both East and West. getting off from Rikishaw and visit an old temple with your driver. You will lean the manners and histories. 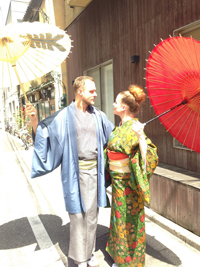 Besides Jinrikisha, we would like to offer such a memorable Tokyo visit for all seasons with Kimono. 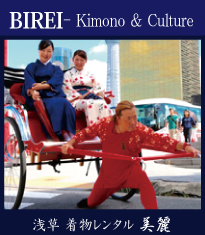 BIREI Kimono & Culture offers real , traditional, graceful Kimonos , and the each can be the only one in the world. All processes to dress up should be in polite manners. 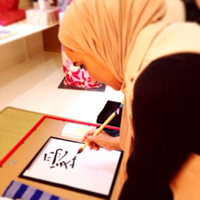 Also we have some cultural activities such as ORIGAMI and SHODO (Japanese caligraphy). 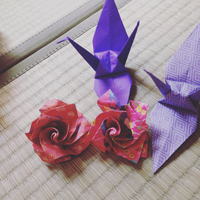 You can make flowers of the season , Cranes, and make these a gift for your family and friends. favorite word, company’s slogan and so on. enjoying and understanding a core value of Japanese culture deeply. JINRIKISHA stops near the Kaminarimon gate. If you have any inquiry,please contact us anytime. 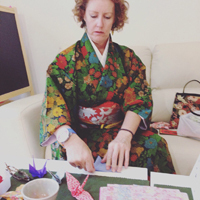 If you make your reservation Kimono service, please come to BIREI Kimono & Culture directly.